Looking for a way of accumulating cash for your business venture or non-profit organization? One way to do that is with the help of a fundraiser. If there is one disadvantage that for-profit and non-profit organizations have, it is the lack of capital. No matter what industry you’re in or the purpose of your company, money makes the world go round. Without it, reaching your goals or supporting a cause is unlikely. When the budget is low and the needs are high, a creative way to raise funds is necessary. This is where a fundraiser comes in. Whether done internally or with the help of the public, fundraising opportunities make it possible for businesses to stay afloat. When funds are tight, one of the first things people look to is a loan. Borrowing what you need now and paying it back over time seems like the best course of action. However, borrowing money essentially means that you’re in debt to another company until it has been paid in full. Not to mention, businesses that don’t generate enough revenue, are new in nature, or don’t have a strong credit reputation are often turned down for loans and lines of credit, leaving them with very few resources to rely on to cover the cost of things the company budget won’t cover. Fundraising platforms, such as that offered by Fundraising Brick, make it possible for companies to accumulate the money they need without the burden of repayment or interest rates. Money (With No Strings Attached) – Unlike borrowing the money from a bank or investor, which comes with repayment agreements and interest, fundraising doesn’t have any strings attached. It is the act of interested parties donating their own money to your cause or goal. It does not have to be repaid. Team Building – You, your staff, members of the community, and other organizations will have to work together in order for the fundraiser to go off without a hitch. Whether you decide to start a campaign on Kickstarter or you opt to sell candy in the office to your staff, it will require initial planning, setup, and management to flourish. Marketing Potential – If you’re going to get donations, you’ll have to put the word out about your fundraiser giving you ample amount of time to gain more exposure for your company. As you advertise your fundraising campaign with your company name attached, this helps to spread the word about your business. Brick Fundraisers – One of the best ways to thank patrons for contributing to your cause or goal is to acknowledge them. Having their name engraved on a plate, stone, or brick, is one way of doing this. Let’s say you’re trying to build a park, you could have a customized wall with engraved plates for everyone who donated to the cause. This would entice more people to donate and serve as a permanent reminder of your gratitude. Merchandise Fundraisers – People are willing to donate to a cause or goal when they know they’re getting something out of the deal. They don’t mind paying more than the asking price for beauty products or gourmet foods if they are giving to a good cause and receiving great products in return. 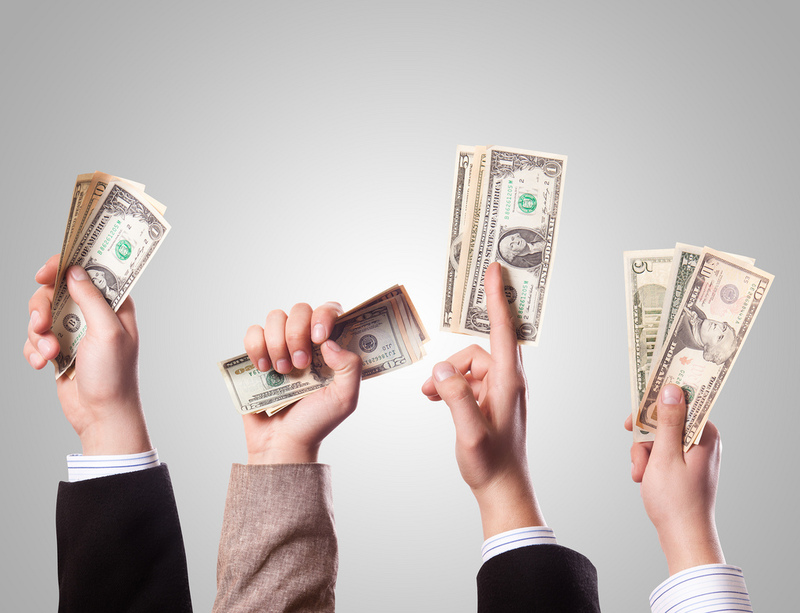 Crowdfunding – A digital way to raise funds, crowdfunding has become increasingly popular for small businesses. By creating a profile, you can ask a number of people to help you reach a monetary amount for anything from startup funds and operating expenses to expansions and new product launches. When you have a cause or goal that you’re passionate about, but can’t achieve on the budget your small business has, it’s time to think outside of the box. Fundraising provides you with a plethora of platforms to reach thousands, if not millions of people who would be willing to give you a helping hand —with no strings attached. Miranda Marquit is a freelance writer and professional blogger, specializing in personal finance, small business, and investing topics. She writes for a number of financial web sites and blogs, and has been featured in numerous media. Read about life as a freelancer at MirandaMarquit.com and in her book Confessions of a Professional Blogger. I have never use a crowdfunding site before but really tempted to do it to raise fund for my start-up business catering the Japanese market. I had to postpone launching it for lack of funds. Just wondering if you have any experience doing this and if you have any suggestions. There are so many choices out there to consider.